If you share your treats with Morris he will stomp on them with his beastly feet. STOMP STOMP STOMP. Naughty Morris. Are you daring enough to befriend this dastardly bunch of boars? 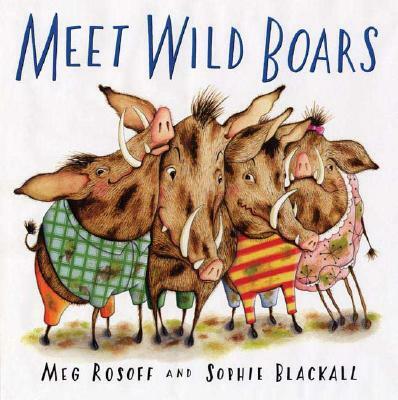 Meet Wild Boars! Or maybe you better not. After all, they are dirty and smelly, bad-tempered and rude. They might try to fool you, but don't worry, you won't believe them. There's no such thing as a nice wild boar. Hmmm. This insufferable gang of boars will mess up your house and set a very bad example indeed. If you are foolish enough to fall in love with them, they will break your heart (and most of your furniture). So don't say we didn't warn you!